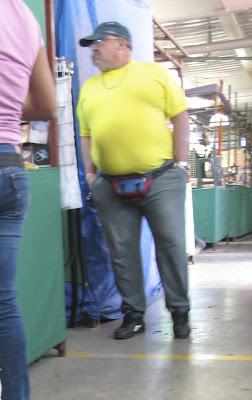 Do you look at someone wearing a fanny pack and wonder why? Why are you wearing that? You have no excuse unless you are European. In case you don't know what a fanny pack is, Wikipedia defines it as In case you didn't know, a fanny pack is a small fabric pouch secured with a zipper and worn at the waist by a strap around the hips or waist. 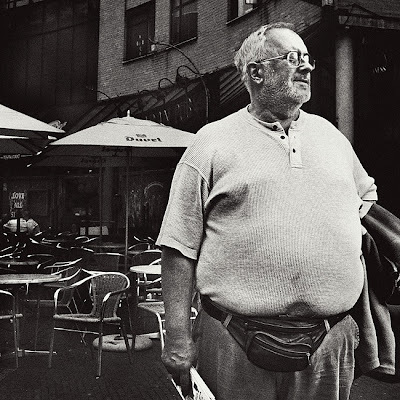 The name "fanny pack" is derived from the fact that they were traditionally worn facing the rear above the buttocks, for which fanny is a slang term in America. Fanny packs reached the peak of their popularity in the late 1980s and early to mid 1990s. 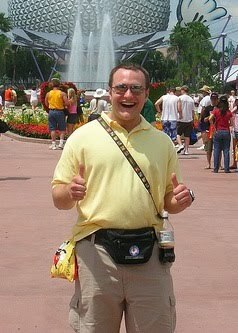 Today, however, fanny packs are considered unfashionable in some countries. 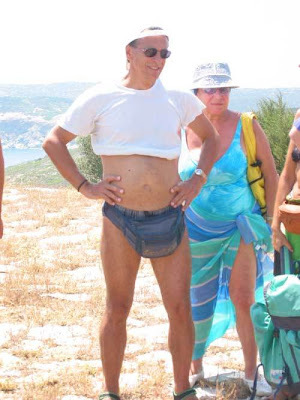 the fanny pack is also known as the belt pack, belly bag, Buffalo pouch, hip sack, hip pack, bum bag, or moon bag. Computers and fanny packs are the perfect pair. 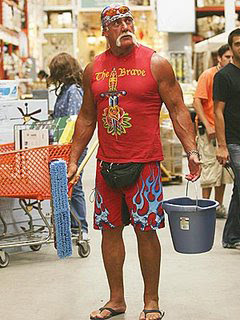 What is cooler than Hulk Hogan wearing a fanny pack at the home depot? See below for your answer. Chuck Norris wearing a fanny pack and camo, that's what. Yes, I know what he is doing. Really? 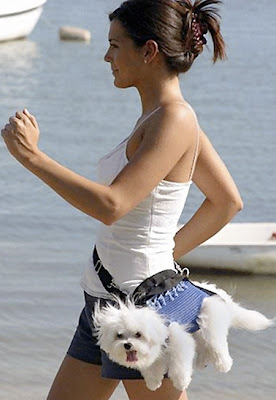 A puppy fanny pack? Really? He lost his old backpack in one of his folds, so he got this new one. 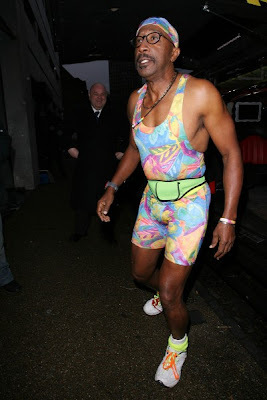 Where does the speedo start and the fanny pack end? I never want to know what is in his fanny pack. Ever. 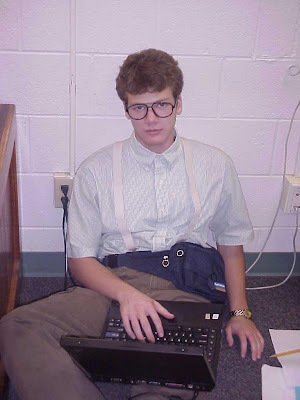 Look at that guy! His glasses are crazy! I don't care if you Rhianna, and that your fanny pack is from Louis Vuitton, it's still a fanny pack. 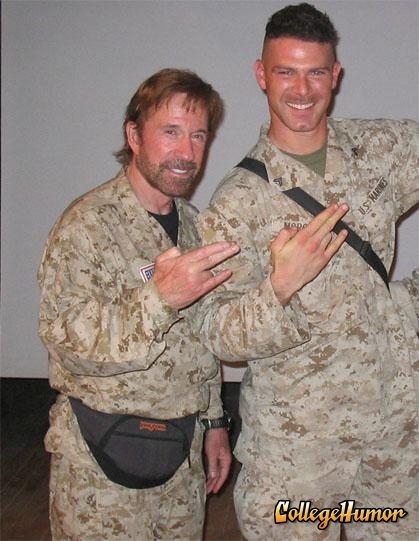 Сould you enlighten me what Chuck Norris is doing?? A fanny pack could be acceptable with a casual kilt. In this case the fanny pack could acts as a sporran when the latter is not availiable. Silversky, it's called "the shocker." You'll have to google it. realmente o troço é bem esquesito mas é meio pratico p levar coisas. chuck norris's gesture is called "two in the pink, one in the stink".